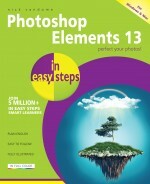 Shows you how to get the most out of Photoshop Elements 13; Adobe's popular photo editing software. Covers versions for both PC and Mac users. 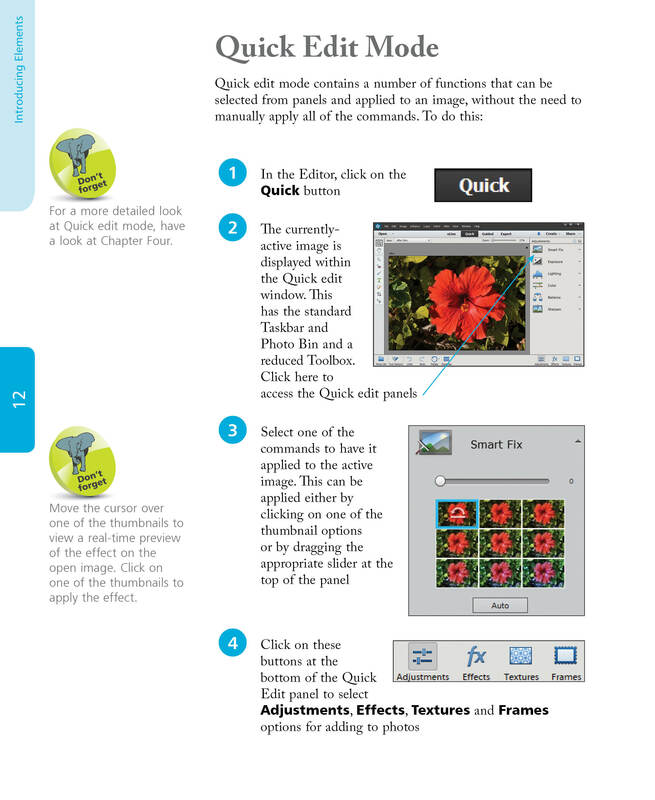 Navigating around Photoshop Elements: including using the Expert Edit mode, the Expert Toolbox, Panels, Menu Bar, preferences and Organizer workspace. Organizing images: downloading digital images, viewing and organizing them using the People, Places and Events views, tagging images so they are easy to find, searching for items according to a variety of criteria, and also using albums and folders. 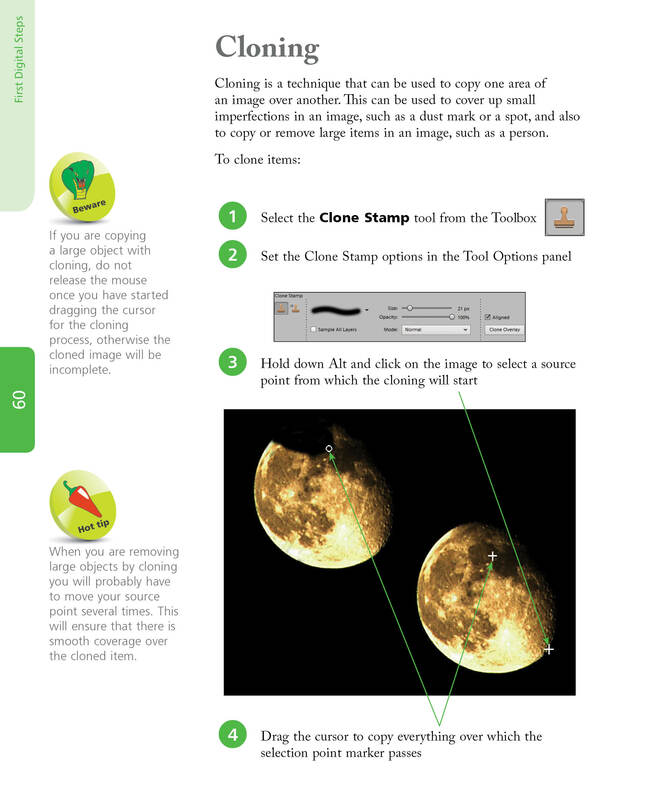 Editing techniques: Color enhancements, cropping, cloning, using the healing brush, rotating, transforming, magnification, using the eraser function, editing hue and saturation, using the Histogram to precisely edit images, importing RAW images, changing the size and resolution of an image, and resampling images. Selecting areas and using the tools and functions with Elements, including Marquee tools, Lasso tools, Magic Wand tool, Selection brush tools, Feathering and more. Using Text and Drawing tools, to add, format, edit and customize text. Adding special effects using the Graphics panel, adding filters, Zoom Burst, Depth of Field and more. Adding and editing layers independently from one another to add numerous elements to an image. 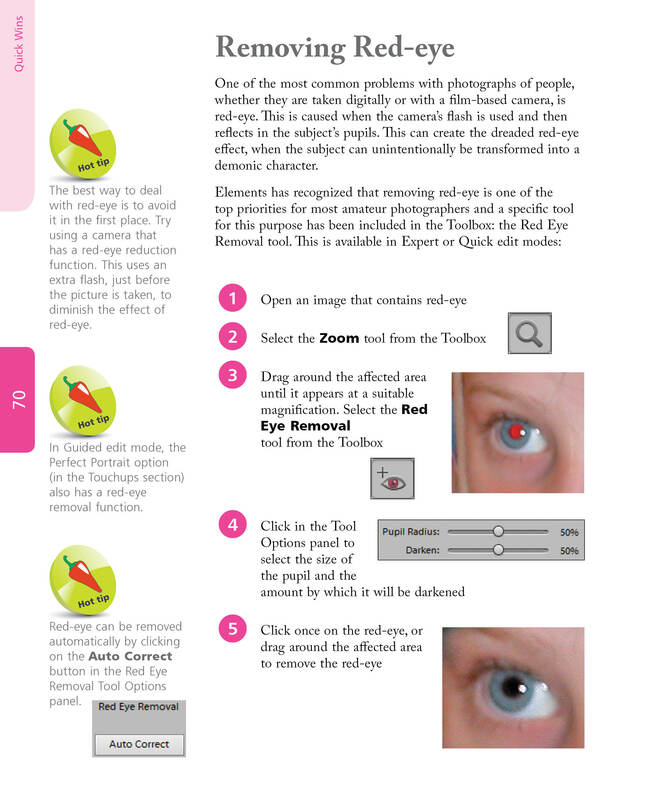 Using “Quick Wins” for removing unwanted objects, removing red-eye, changing photos to black and white, enhancing images and Photomerge options. Sharing your photos on social media sites, creating Facebook covers, photo collages, photo books, DVDs, CD and DVD jackets and labels and more. Finally, print your images in a variety of formats. 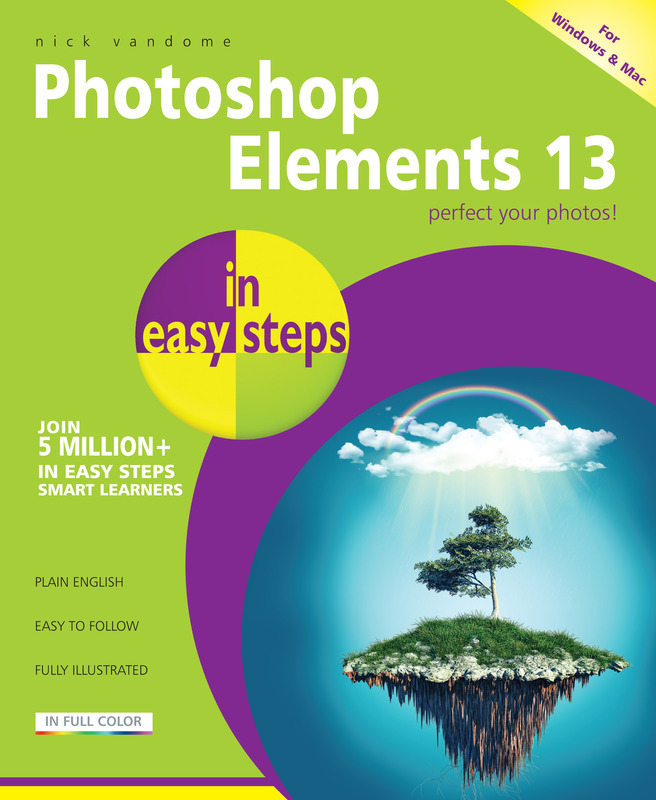 Photoshop Elements 13 in easy steps covers versions for both PC and Mac users and demonstrates both the fun and the functionality of image editing which makes Photoshop Elements 13 the perfect image editing program for any photography enthusiast. "Good simple approach to what can be a complicated program" From a Amazon reader.